Payoff investigates the true nature of motivation, our partial blindness to the way it works, and how we can bridge this gap. 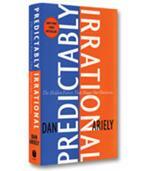 With studies that range from Intel to a kindergarten classroom, Dan Ariely digs deep to find the root of motivation — how it works and how we can use this knowledge to approach important choices in our own lives. In his elegant overview of motivation, Ariely proves it’s time to recognize the payoff that comes when we stop thinking in terms of trade-offs. The statistics are not encouraging. 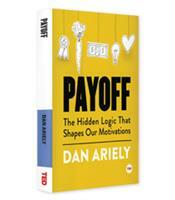 In his new book, Payoff: The Hidden Logic That Shapes Our Motivations, Duke University professor Dan Ariely notes that more than 50 percent of employees are disengaged, with 17 percent actively disengaged. How can employers reverse this disturbing trend of increasing disengagement? How can they ensure that their employees are motivated to do their best, rather than simply going through the motions? The traditional response is money: Employees work for money; pay them more and they will be more motivated. 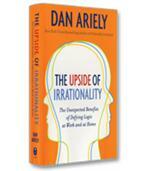 Ariely agrees that money plays a role, but it is only one of a number of factors that contribute to motivation. Achievement, happiness, purpose, a sense of progress, relationships with your colleagues, concerns about your legacy, pride, even the number of young children at home will all play a part in one’s motivation, he writes. Ariely describes one of his research experiments in which employees at a semiconductor factory were given a number of different incentives at the beginning of each day to be more productive. One group of employees was told that if they hit their targets, they would receive a bonus of $30; employees in another group were promised vouchers for a pizza, and a third group of employees were told that they would receive a note of thanks from the CEO. Employees in the fourth group were not given any incentive. Ariely and his colleagues asked HR managers in the company to predict which incentive would be more effective on the first day of the experiment. Most assumed cash, followed by the pizza, the compliment and finally the control condition (no incentive). The HR managers were correct about the control group: Their productivity rose the least that first day. Of the three incentives, however, it was the bonus cash that came in last; productivity that day only increased 4.9 percent. The pizza voucher came in first, with a 6.7 percent increase in productivity, but perhaps the most surprising result was the performance of the CEO’s compliment, which motivated workers to increase their productivity by 6.6 percent — basically identical to the pizza incentive. And that was just the first day. The second day, employees promised a bonus actually did 13.2 percent worse than employees who were not offered an incentive. This margin decreased a bit on the third day (6.5 percent) and shrank even more on the fourth day (2.9 percent). Nevertheless, the overall impact of the cash bonus was to increase costs for the company while decreasing employee productivity. The previously mentioned experiment (one of a number of fascinating experiments described in the book) reveals the complexity of motivation. Although a short book, Payoff dives into this complexity, exploring a variety of the core emotional, intangible forces — as well as the more tangible rewards — that drive motivation. 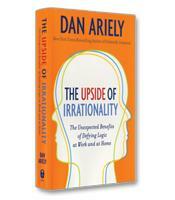 One of the intangibles is what Ariely calls the IKEA effect, in which the act of creation gives people a sense of accomplishment and purpose. In one experiment, participants were asked how much they would pay for newly made origami birds. Participants who had made the birds (based on instructions) valued them at a much higher price than “buyers” who had not made them. When the instructions were left intentionally incomplete, requiring much more work, participants valued the birds even more (although the results were less than satisfactory). This experiment illustrated how a sense of accomplishment — of having “built” or “created” something — is a major motivator for people. The bottom line for Ariely is that companies must stop thinking in terms of win-lose: If you (the worker) get a bigger piece of the pie (e.g., a higher salary), then I (the company, the business owner) will get a smaller piece. Instead, companies need to adapt a pie-expanding mindset: If our workers are happy and motivated, they will be more productive, and we all win. In short, Ariely proves, in this elegant overview of motivation, that it’s time to recognize the payoff that comes when we stop thinking in terms of trade-offs.